Every day, US Jewelry Liquidation present online auctions with a fantastic selection of fine jewelry such as watches, bracelets, rings, earrings, necklaces, and more. Highlighted in the upcoming week is over 1000 lots hammering down on August 22nd, 2017. Everything is cataloged with photos and descriptions and are ready to take absentee bids anytime until the live auctions begin. 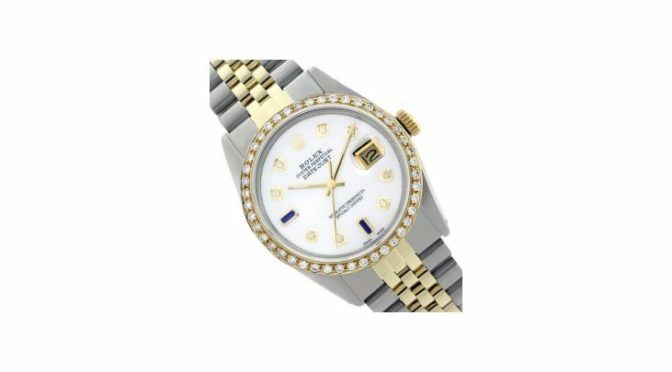 REF-368R7Z —- Rolex Ladies Two Tone 14K Gold/ss, Diam Dial & Diam/Sapphire Bezel, Saph CrystalThis watch is in Excellent Condition. Newly serviced & Polished to Factory specifications. US Jewelry Liquidatation have prepared this carefully and are ready to answer any and all questions about each piece in the sale. In addition , all US orders have free shipping. The auctioneer also provides top level customer service and returns and exchanges are a snap; the goal is to get the right piece with the right buyer.